This April 14, 2018, photo shows Beyonce perform during the 2018 Coachella Valley Music And Arts Festival at the Empire Polo Field in Indio, California. Beyonce's highly anticipated film "Homecoming," documenting her 2018 Coachella performance, began streaming on Netflix Wednesday. But the singer didn't let the release go by without throwing in a major surprise: a new live album to go with it. The 40-track "Homecoming" album includes live versions of her hits "Formation" and "Partition," as well as a new song and her daughter, Blue Ivy, singing the black American anthem, "Lift Every Voice and Sing." 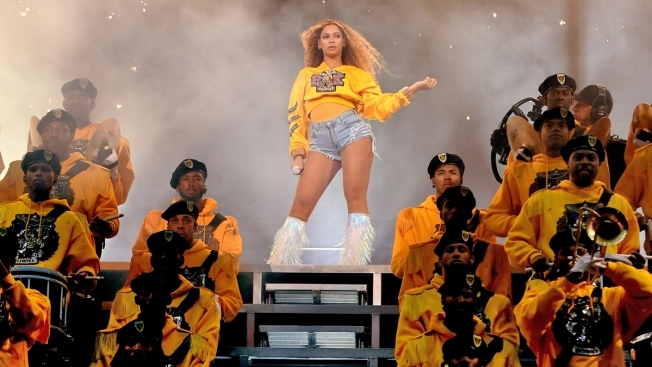 The showstopping Coachella performance that made Beyonce the first black woman to headline the Southern California music festival was an homage to historically black colleges and universities. It featured a full brass band, costumes branded with her own personal sorority, multiple costume changes, and cameos from the other members of Destiny's Child and her husband, Jay-Z. Beyonce's Coachella performance showcased "black excellence at its most beautiful and most bold, performed for the world to see in front of an audience that is known both for its cultural cachet and its racial ignorance," writer Ronda Racha Penrice wrote in an NBC News opinion last year. 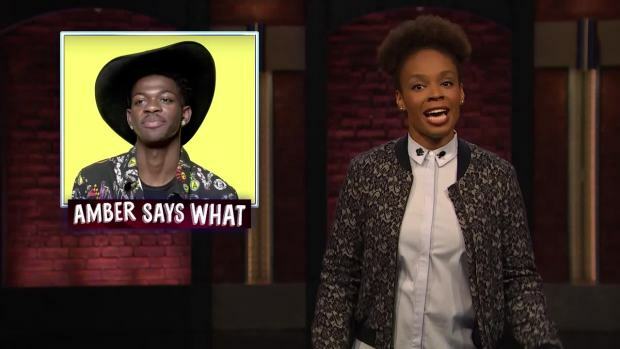 "Late Night" writer Amber Ruffin recaps what's happening in pop culture news. The concert movie on Netflix adds in interviews and behind-the-scenes footage to document how the show came together, including personal hurdles that were overcome. One, in particular, was the extremely restrictive diet she was on in order to get in shape and "rebuild" her body after the birth of her twins. "There were days that I thought I'd never be the same," she candidly said along with footage of her first rehearsals back after pregnancy. The star feared her strength and endurance would never be the same and the choreography was difficult to express because she did not feel like herself, E! reported. Beyonce's exercise regimen consisted of SoulCycle, other workouts and rehearsing. Diet-wise, she cut out carbs, sugar, dairy, meat, fish and alcohol. "And I'm hungry," she quipped. However, the work paid off, as she realized she was able to wear an old costume from before the pregnancy. The album is streaming on platforms like Spotify, Apple Music and Tidal, and features a new cover of "Before I Let Go" by Maze.